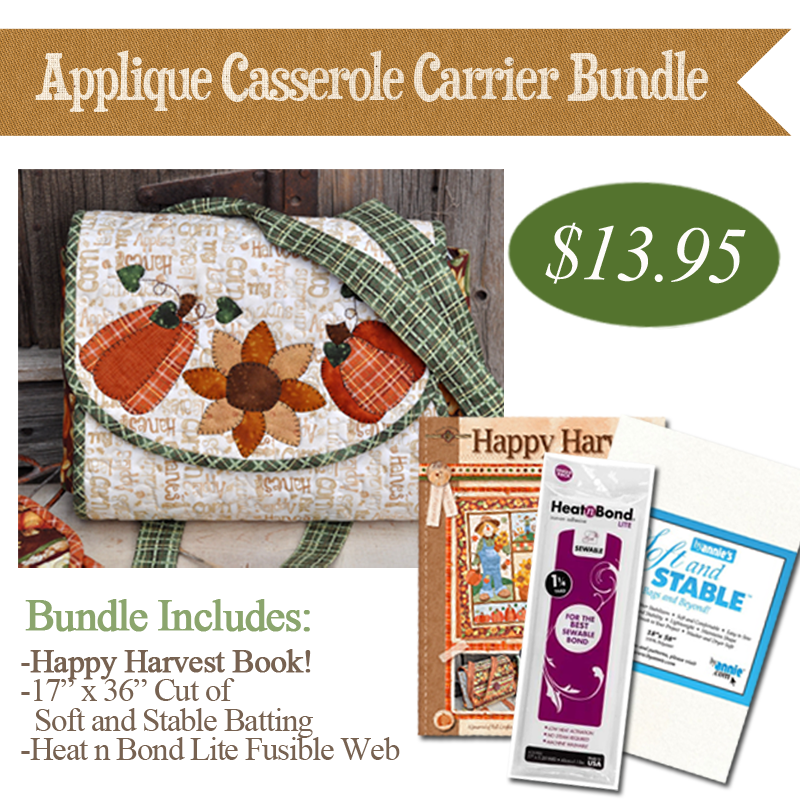 Bundle includes 17"x36" cut of Soft and Stable batting, the Happy Harvest book and Heat n Bond Lite. You will need to add your own fabric. If you already have the Happy Harvest book, you may purchase the Soft and Stable and/or the Heat n Bond separately.